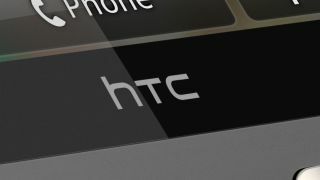 HTC is set to close HTCSense.com and delete any data stored on the back-up service by April 30. HTCSense.com users will need to log in and download a zip file of all their data before April 30, at which point all files will be inaccessible and, soon after, deleted. Apparently it's because HTCSense.com is "undergoing a renovation", presumably from the school of creative destruction. "Until the new services are ready, features previously available on HTCSense.com will be shutting down," a letter on the site explains. HTC goes on to promise the scant compensation that, "You'll be among the first to know when the new and improved services are ready." It seems a little incongruous that HTC is renovating the back-up service by deleting everything and starting again, rather than just porting its users' data across – and it's more than a little inconvenient for users. The shuttering of the back up service comes as HTC readies its new HTC One series of smartphones, announced back at MWC 2012. These phones all come with two years of free DropBox action, which may have played a part in the HTCSense.com's (temporary) demise.